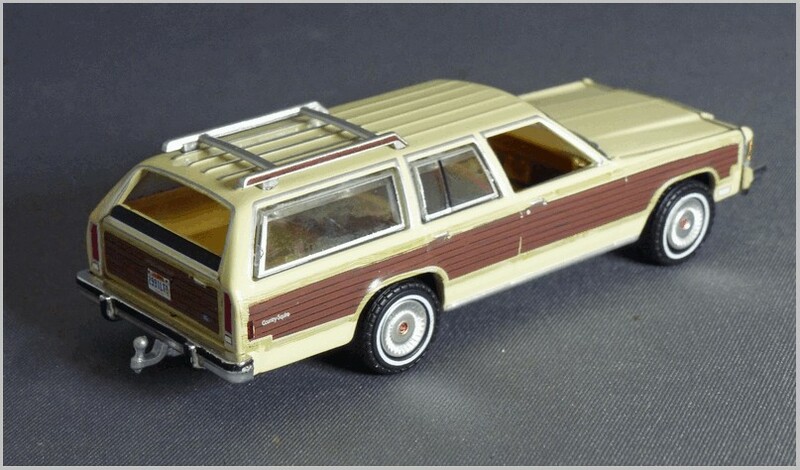 Greenlight launched their 1:64 scale Estate Wagons Series in 2018 and have now made two releases. 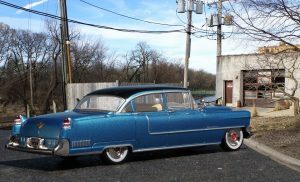 A previous article looked at a pair of Fords. 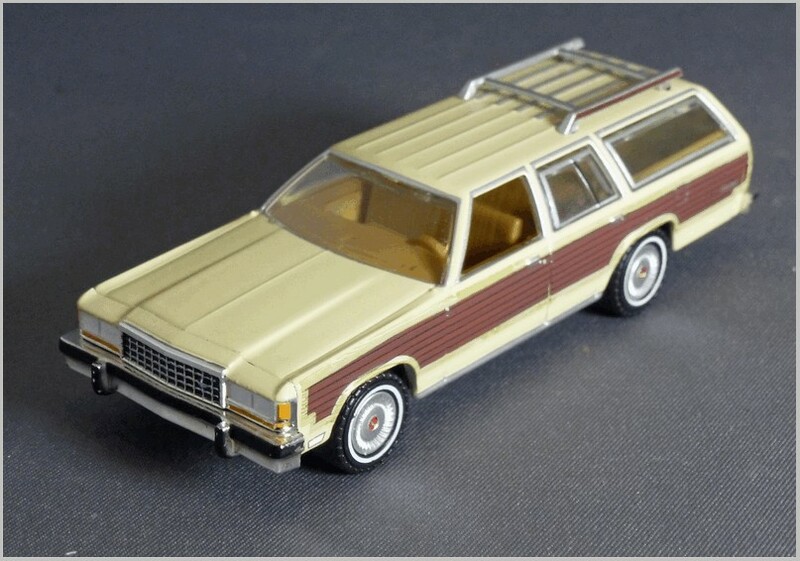 This article looks at another two wagons from the first release, both Chevrolets. 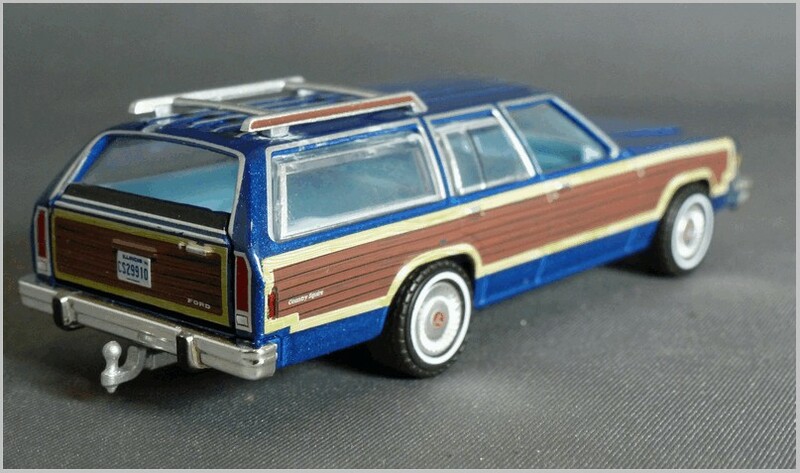 All the wagons are in the same generic series one blister packs with only the insert holding the model and a slip of paper being different between the Fords and Chevrolets. These are clearly intended to catch the eye when hung on a rack in the store but make for a large pack for a 1:64 scale model. 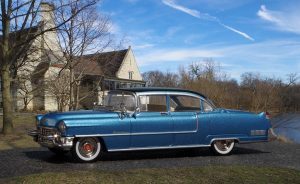 The two models covered in this article are: 1955 Chevrolet Two-Ten Handyman and the 1955 Chevrolet Nomad. 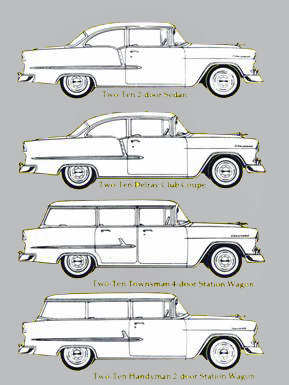 The picture below shows line drawings of the Two-Ten body styles available with the Handyman at the bottom. 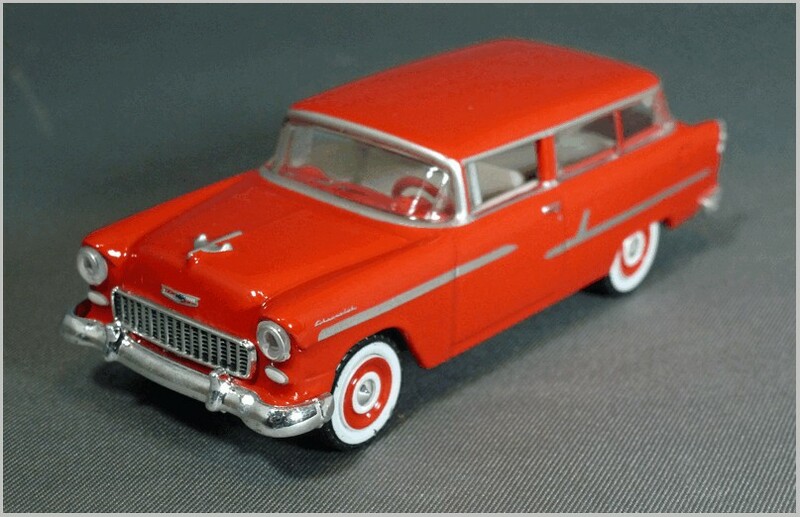 The Chevrolet Nomad was the fully loaded two door estate car with a rakish curved door and window surrounds unique to the model. 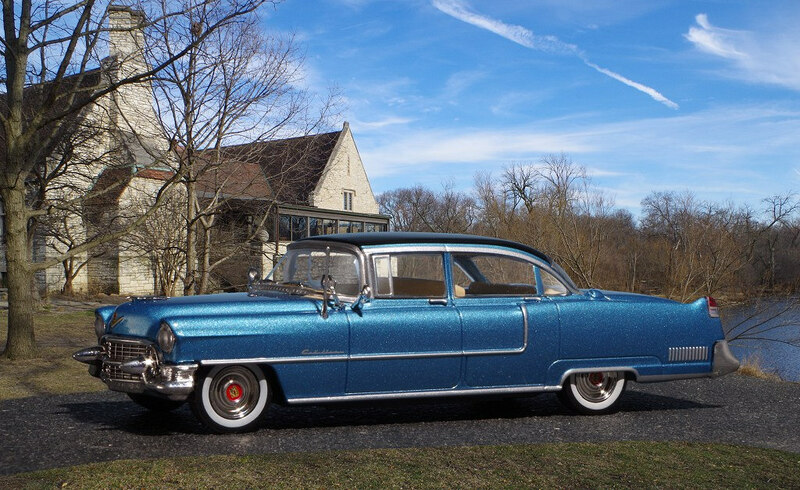 Fitted with full carpeting and a lots of chrome on the sides and round the windows it was available with a new, OHV V8 engine option. 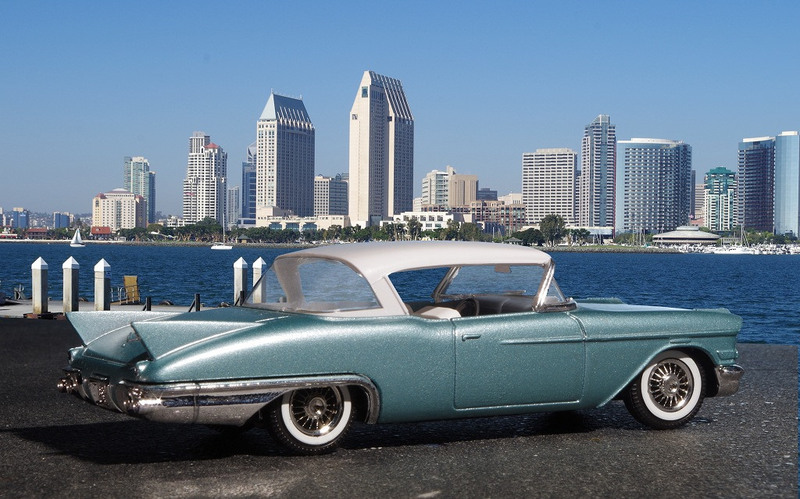 The styling was influenced by one of the cars at the 1954 Motorama presentations which mated a Chevrolet Corvette front end to a rear end similar to that of the Nomad. 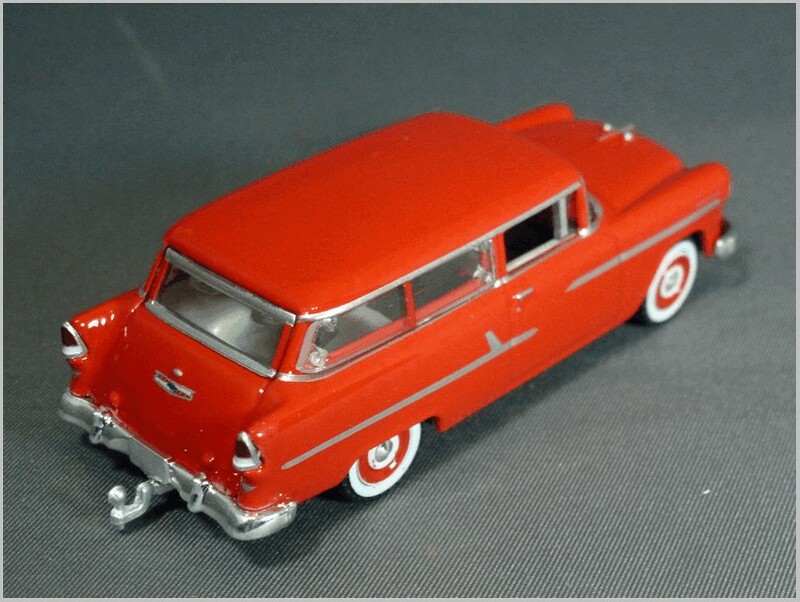 In contrast the Two-Ten Handyman was a two door mid-range wagon with the One-Fifty wagon being the base model. 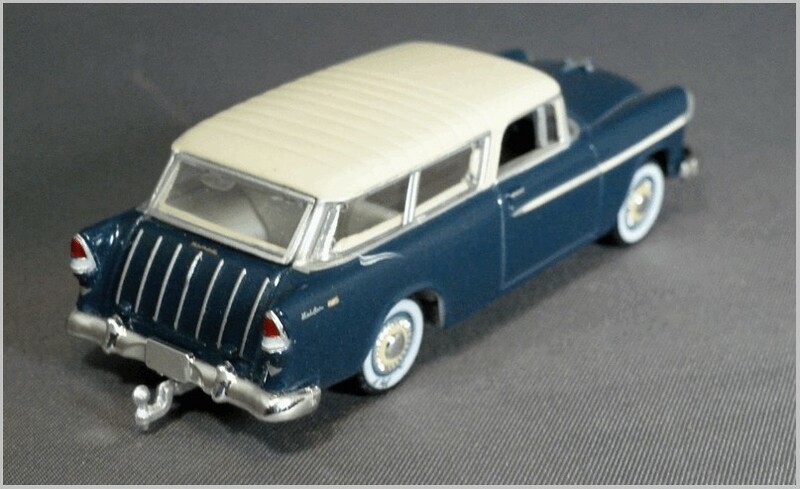 The Two-Ten Townsman was similar wagon but with four doors. 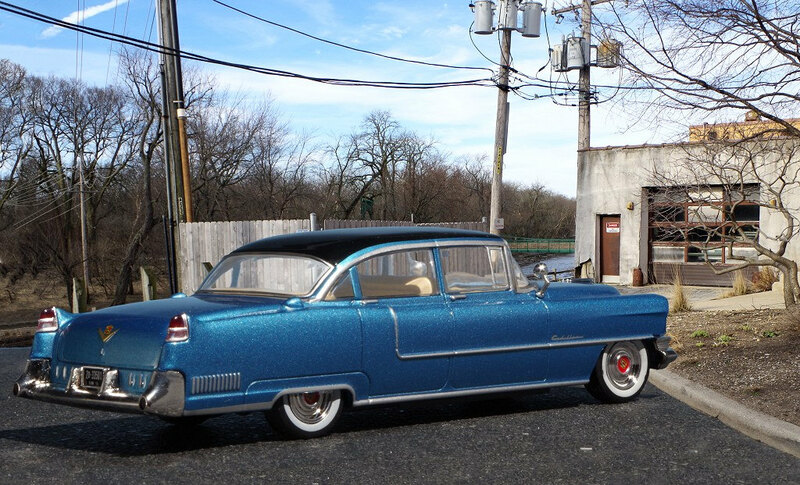 As can be seen in the photograph below the Two-Ten has more conventional upright B and C posts than the Nomad and has partial hubcaps rather than full wheel trims. Inside it would also have been rather less well equipped in standard form than a Nomad, and more likely to be fitted with a straight 6 rather than a V8, It was also significantly cheaper to buy. Looking at the models the printed badging is excellent as are the lights and the other printing. 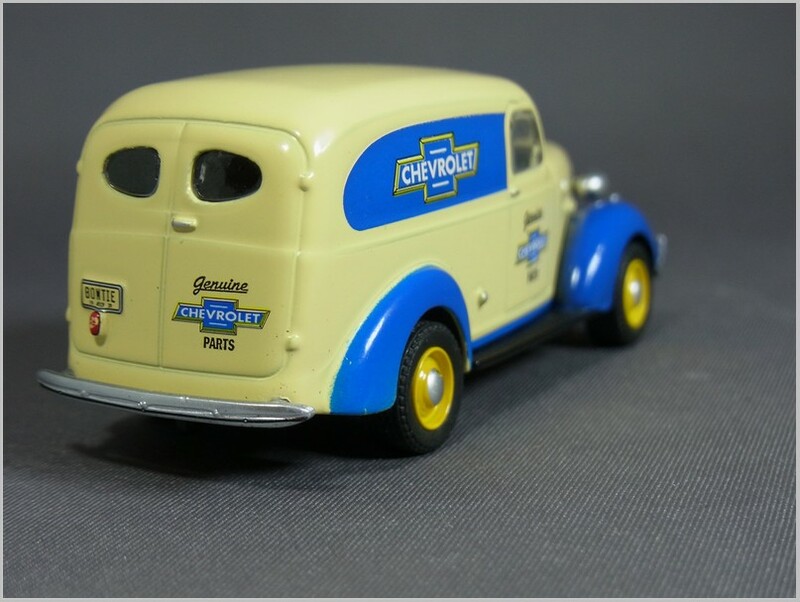 The Chevrolet badge and bonnet ornament are well captured. 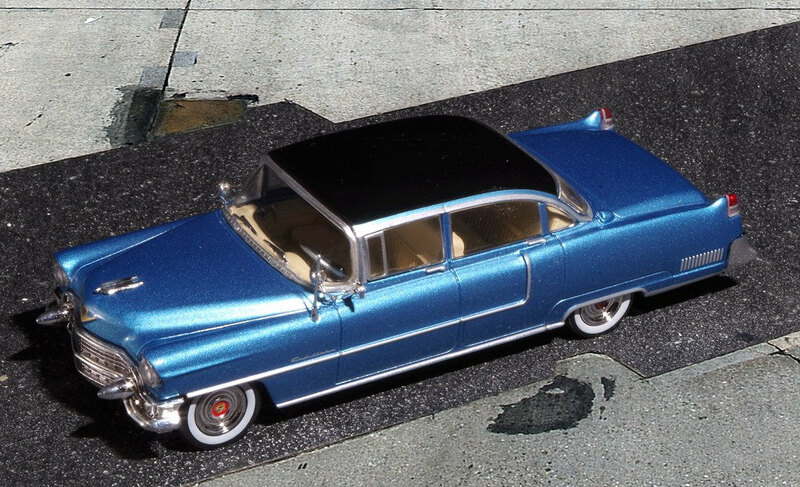 The ‘chrome’ line on the Nomad surrounding the front lights and carrying on to the front wings is in the correct place but is perhaps a little too broad. The Two-Ten Handyman has body colour pillars which is entirely correct and the ‘chrome’ trim to the rear is again correct but slightly too heavy. However the trim on the front wing seems to be incorrect for this model. From the illustrations and photographs on the web the Two-Ten models did not have trim on the front wing. 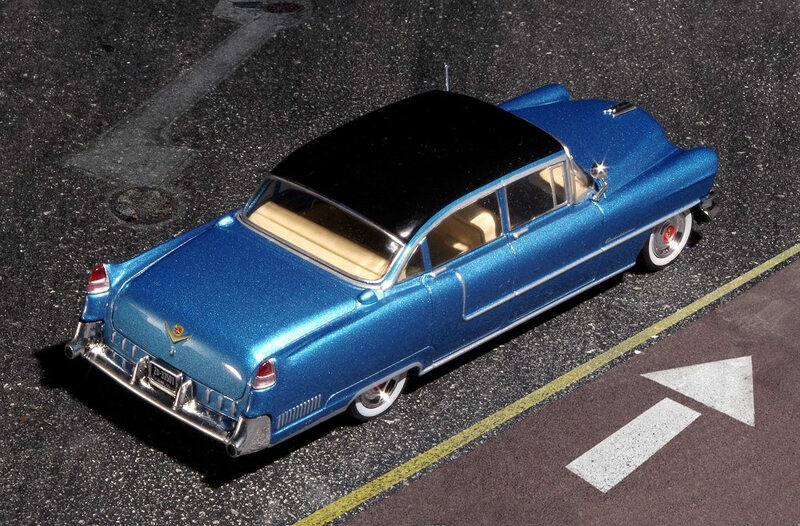 Maybe it was a dealer option or fitted to a restored car used by Greenlight when designing the model? I hope that it is not printed on in future releases. I would remove it, but its close proximity to the finely printed and correct Chevrolet script on the front wing means that it might risk damaging the script. To the rear the tailgate of the Nomad has the characteristic vertical chrome strips as featured on the Motorama car and the small gold coloured Nomad badge on the tailgate. It also has the correct Bel-Air script and logo on the rear wings. The Handyman, below, is plainer but features a nice badge on the tailgate. 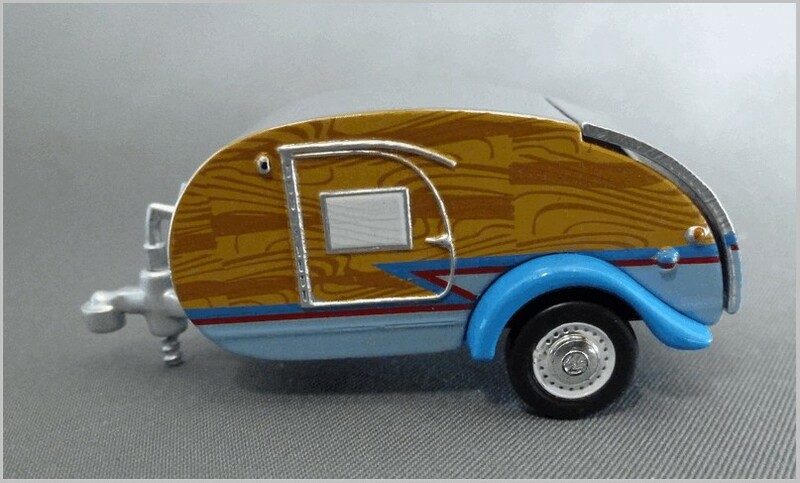 Both models have somewhat oversize tow bar units made to allow them to tow trailers like the ones from the Hitched Homes series. However to give Greenlight their due the tow bar at least tries to look like the real article rather than being modelled as a simple peg. One missing feature on these models is registration plates which are absent front and back. Period correct plates would be nice even if they were supplied as decals so you could choose your state. 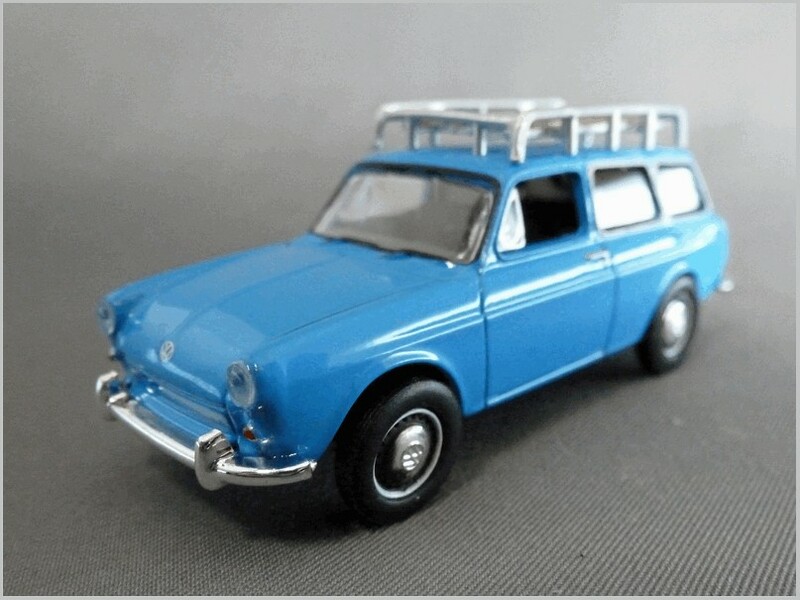 These models are reasonably priced in North America and are are very collectable especially as their competitors M2 and AutoWorld seem to be scaling back new castings in their 1:64 scale ranges at the current time. 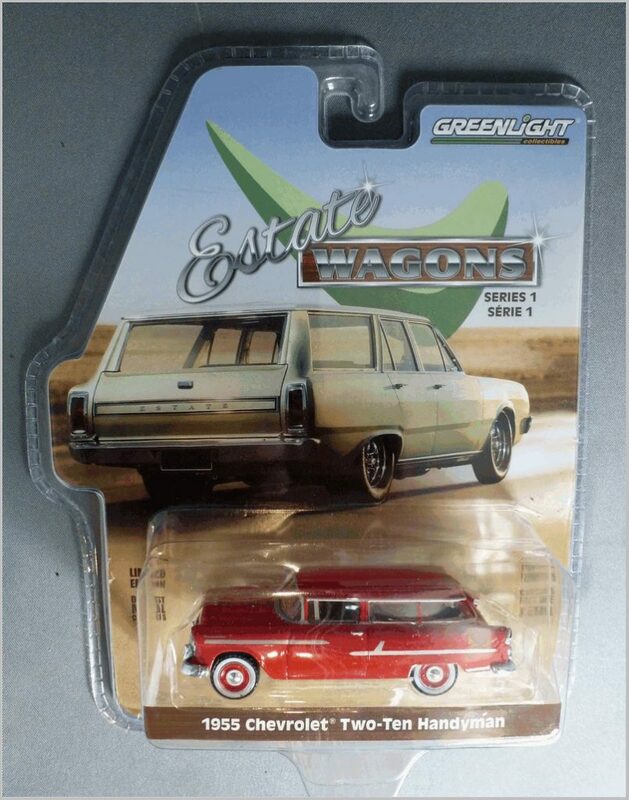 Greenlight launched their 1:64 scale Estate Wagons Series in 2018 and have now made two releases. 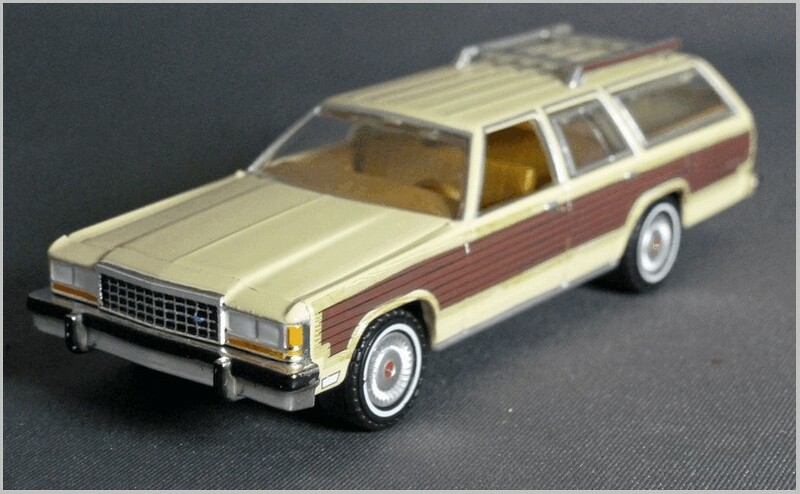 This article looks at two wagons from the first release, both Ford LTD Country Squire Wagons, one from 1979 and the other from 1985. 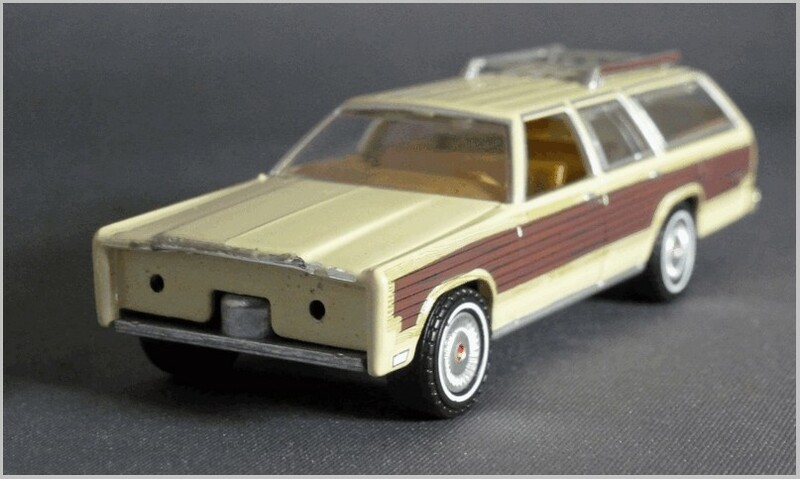 Ford had a Country Squire model in their range from 1950 to 1991 only adding the LTD part of the name in 1968 when a small plate with LTD on appeared on the bodywork. 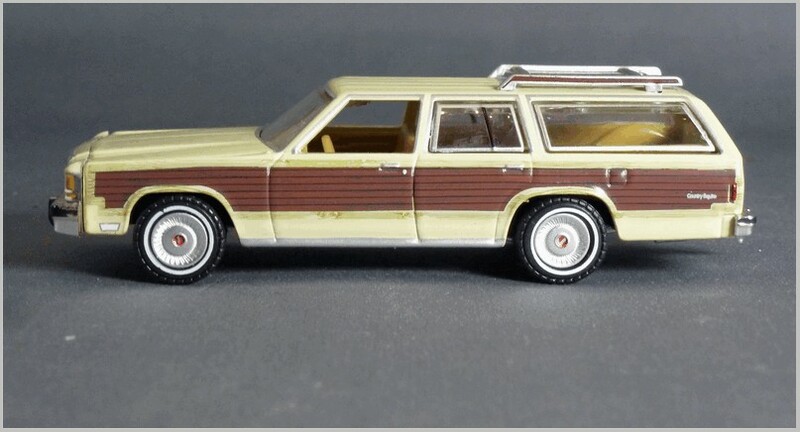 1979 introduced the sixth generation of the Country Squire which lasted until 1991 at which point Ford discontinued production of the full size wagons in favour of the faster selling Explorer and SUVs. 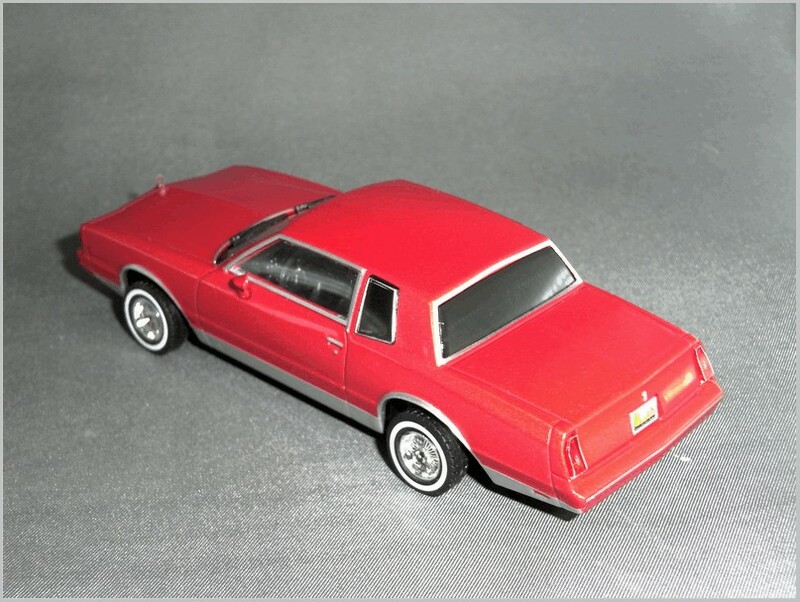 The differences between the 1979 and 1985 models were limited to cosmetic changes , mainly to the front end so it is easy for Greenlight to ring the changes with a small separate plastic nose section and body printing. 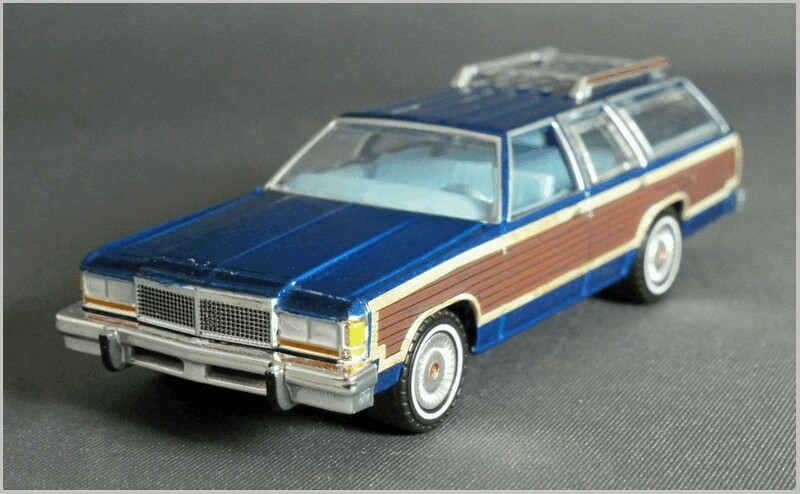 In fact even the final 1991 wagon looks like it could be replicated by Greenlight with a modified front panel. Production numbers were always small only 66,000 or so were made in 1979, more than half without the wood effect sides, and this had fallen to just over 30,000 in 1985, and under 4,000 in the last year of production. Engine choice was limited to a 4.9 and a 5.7 litre engine and all had automatic gearboxes. The Greenlight 1979 car is in midnight blue and the 1985 car is in light wheat. 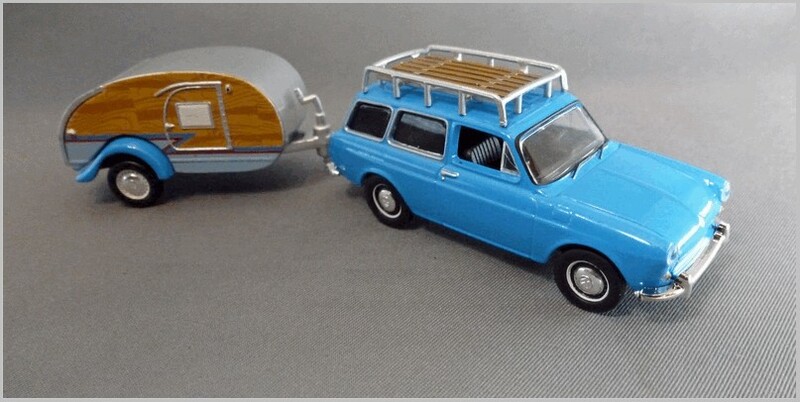 They are both fitted with a tow bar so will presumably also appear as ‘hitch and tow’ cars later. The printed ‘wood effect’ sides are neatly done on both as are the excellent wheels and tyres. Flush fit glazing is good, though the inset glazing does have a slightly large gap on the sides and the silver printing on the plastic appears to be slightly fuzzy at the edges in close up pictures. Having said that you wouldn’t notice from normal distances and the flush glazing and the fine castings are excellent for a budget range. The tailgate opens, though it takes a bit of a tug. It is neatly printed including ‘wood’ trim, badging and a number plate. Rear lights are printed but quite effective. Front lights are printed in white and are a good contrast with the chrome surrounds. Grille units and large bumpers are also moulded well and ‘chromed’ with black finish printed where appropriate for the model year front and rear. There is no front number plate on either model. Unfortunately the paint finish on the front panel of the 1979 car has been spoilt a little by allowing the blue paint to overspray the silver printed grille on one side of its top. Indeed the paint is slightly transluscent so the chrome partly shines through even the overprinted areas. There are no problems with the finish of the front panel on the 1985 car. The interior is modelled with the rear seat up in both cases. The carrying capacity with the seats up is massive, with the seats down they would be cavernous. The 1979 has a blue interior and the 1985 a light brown one. Both appear to be the same and the level of detail is low so the minor changes undertaken over time are not reflected. The door cards and dash board are modelled but without any fine detail. Side printed ‘wooden’ panels are good with the slightly different different badging in each model year reflected properly. 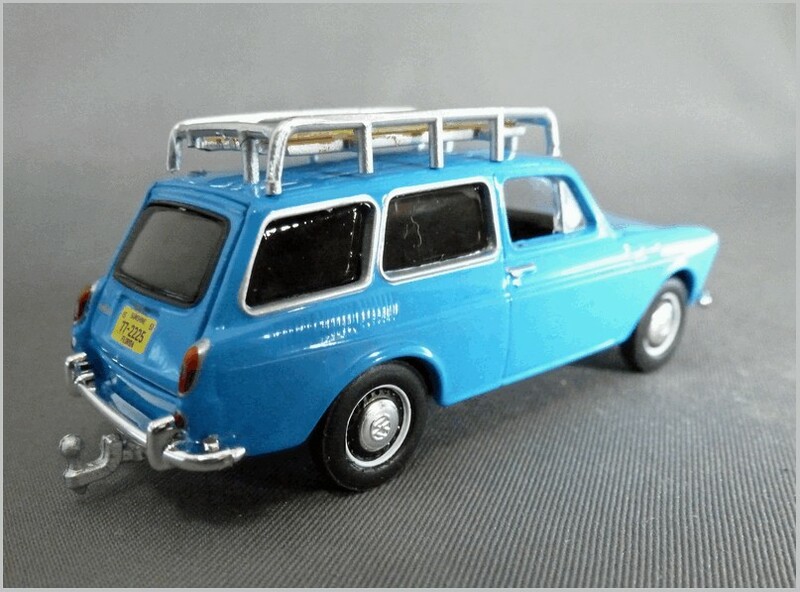 The roof racks are the same on each model and are neat plastic fittings and as the originals were hefty units the moulding does not look overscale. Finally a word about quality. 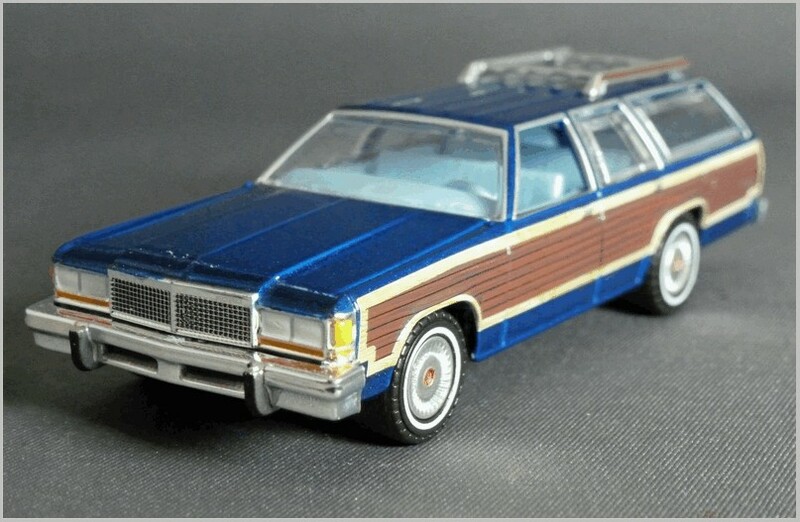 I have already pointed out a few minor issues but the biggest problem was that when the 1985 car was taken from its blister pack the front end dropped off. as shown above. It doesn’t look like this damage was done in transit as there is no evidence that the lugs ever existed on the front panel to fit into the main body. 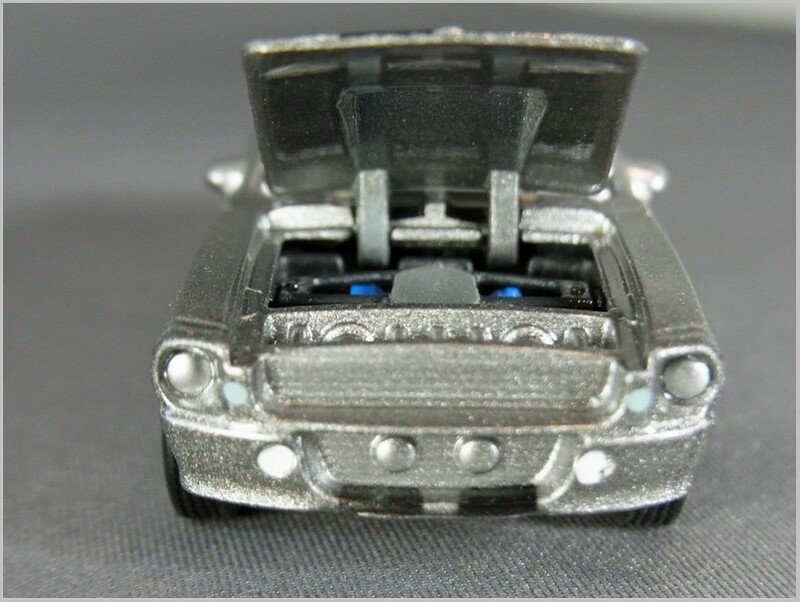 This is not difficult to remedy with a bit of glue but it suggest to me that quality control in whoever’s factory in China Greenlight use to produce these cars could be improved. There are other cars in this series and i hope to show more of them in future articles. 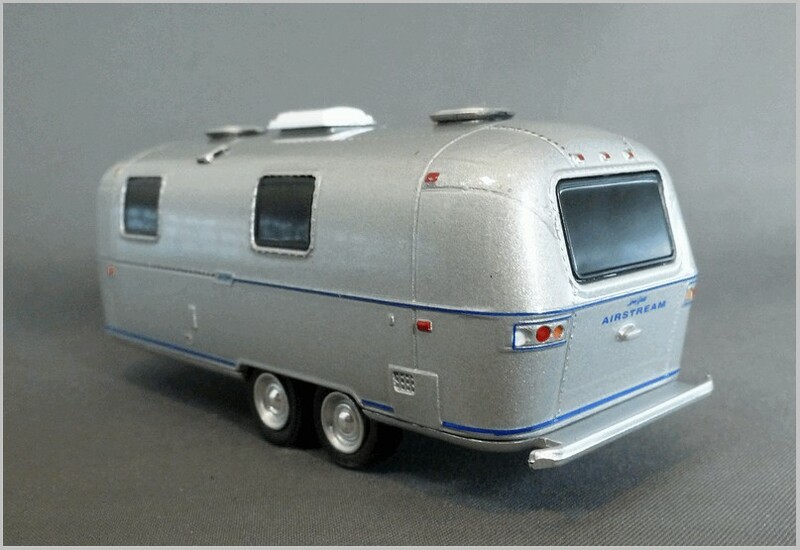 The 1:64 scaleUS Mail Grumman from Greenlight was covered in a recent post which can be found here. The Grumman Long Life Vehicle (LLV) was made only for postal services in the US and Canada. Based on a Chevy Blazer chassis it was made to meet the specific needs of local delivery and longevity with RHD to allow easy kerbside operation.. Whilst the US Mail took most of the production it was also operated by Canada Post (Postes Canada) in significant numbers. 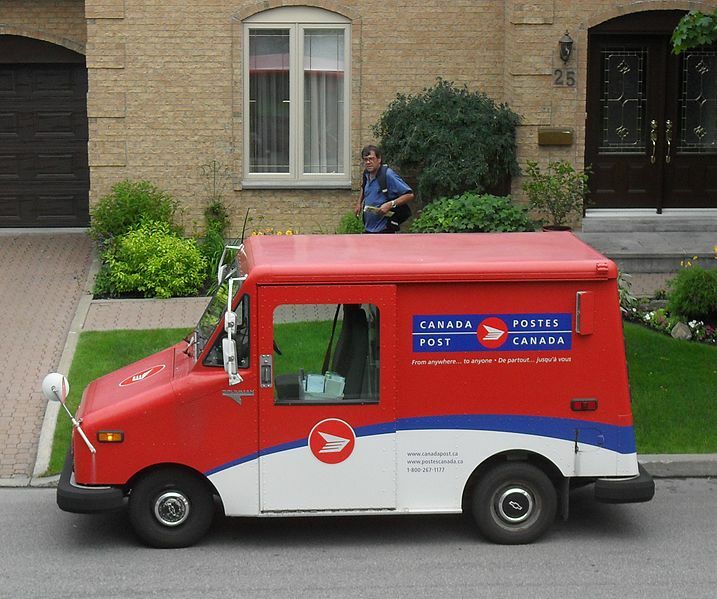 In 2010 Canada Post decided to replace them with Transit Connect vans. 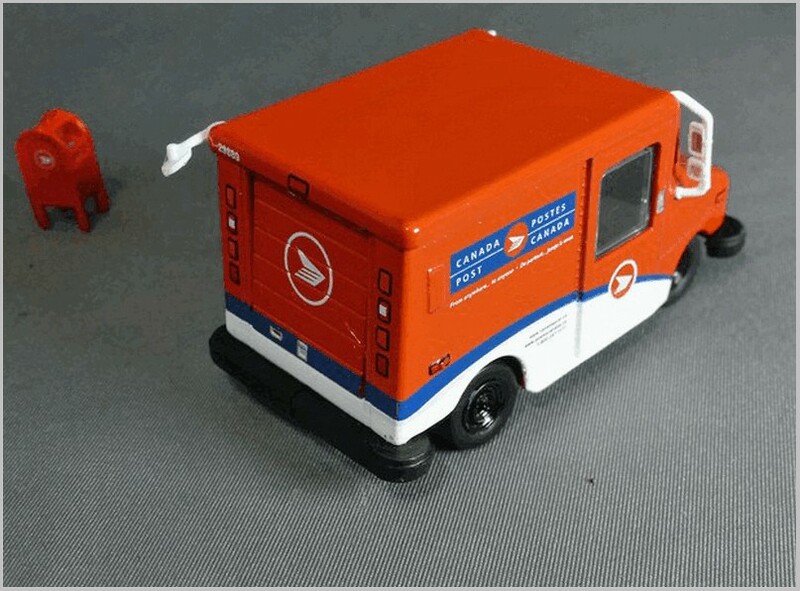 The Greenlight model is essentially the same as the US Mail one except for the Canada Post livery which has been neatly tampo printed and which includes even the small operator contact details and of course all the bi-lingual branding. Like the US version it comes with a postbox in the correct red colour for Canada. However, the shape of the box remains that of a typical US one and not the squarer Canadian kind. 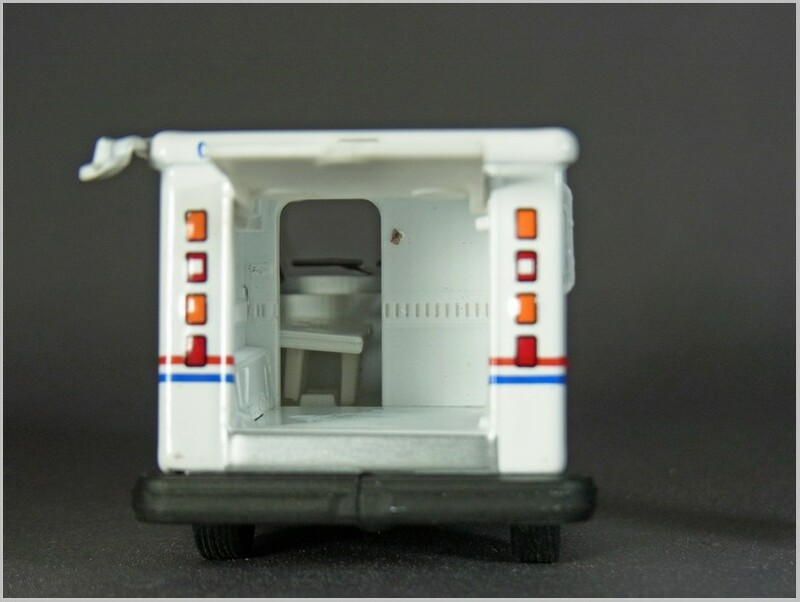 The rear door opens and inside there is a generalised interior though it would look a little more convincing with a pile of parcels ready to deliver. The rear lights are all printed on as is the vehicle identifier on the roof. The massive bumpers are well moulded and a nice dull colour. The chunky look and impressive mirrors can be seen from every angle. All in all a nice model of a vehicle that was once a common site on Canadian roads. 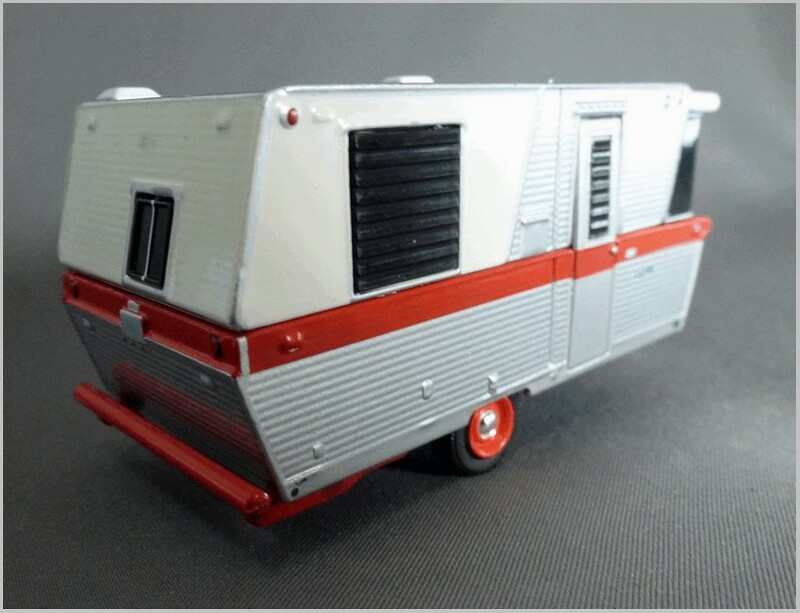 Greenlight have a large number of TV and Film related vehicles in their ranges in scales from 1:18 to 1:64. 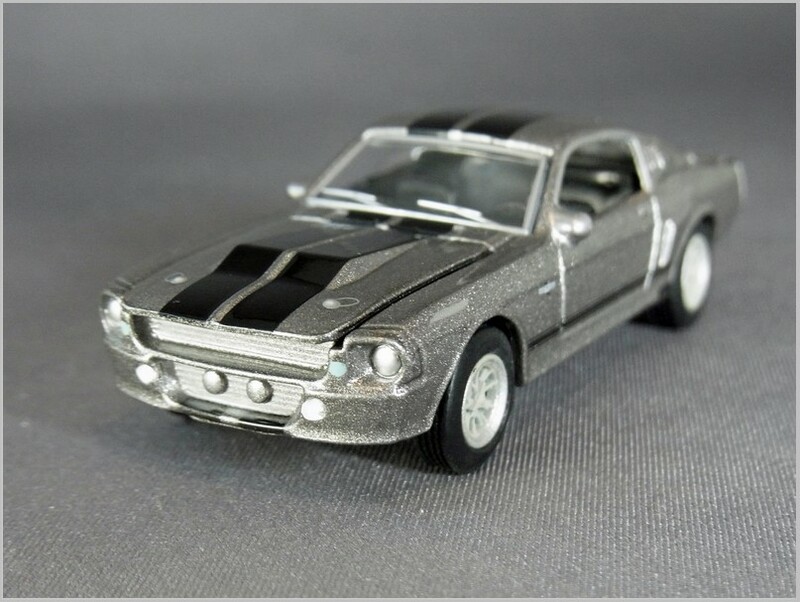 A few also make it into 1:43 scale like the licensed vehicles from the Fast and Furious franchise. 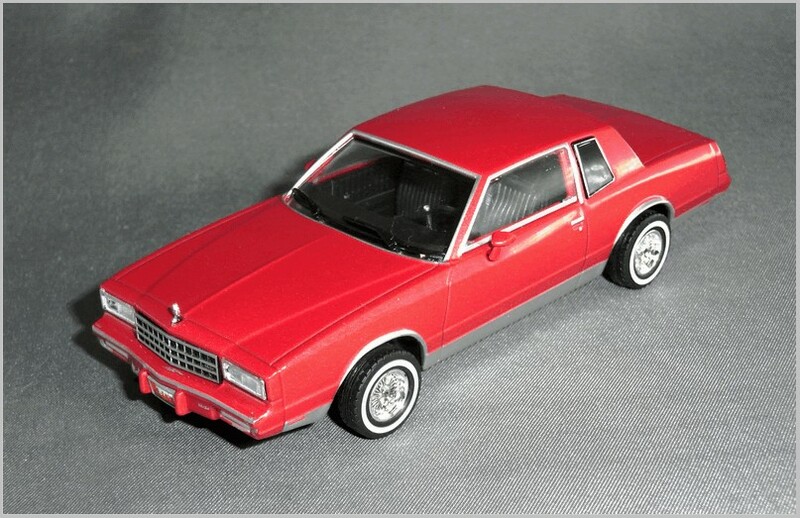 Here we look at the 1982 Chevrolet Monte Carlo which is Jesse Pinkman’s car in the TV series Breaking Bad which was a phenomenal success a few years ago. 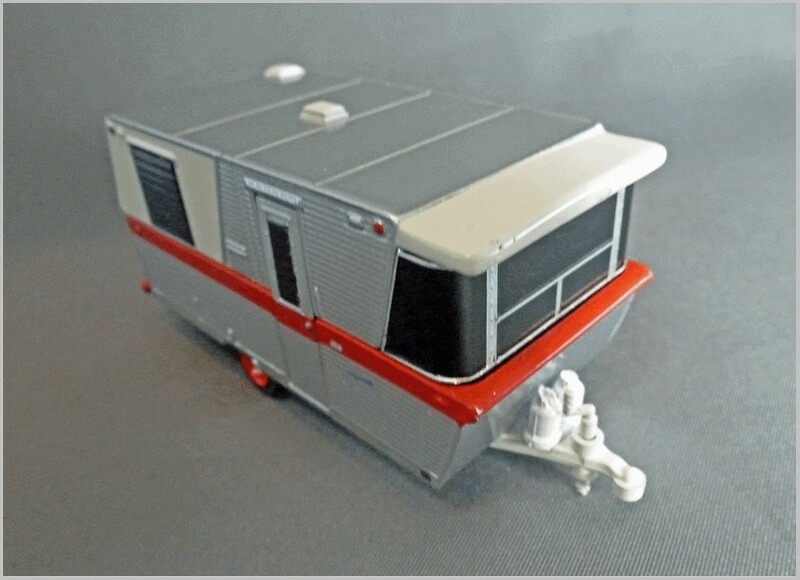 This has been released in 1:64 scale previously when the mobile home from the series was also released. Later it was released as a 1:43 scale model diecast in China. 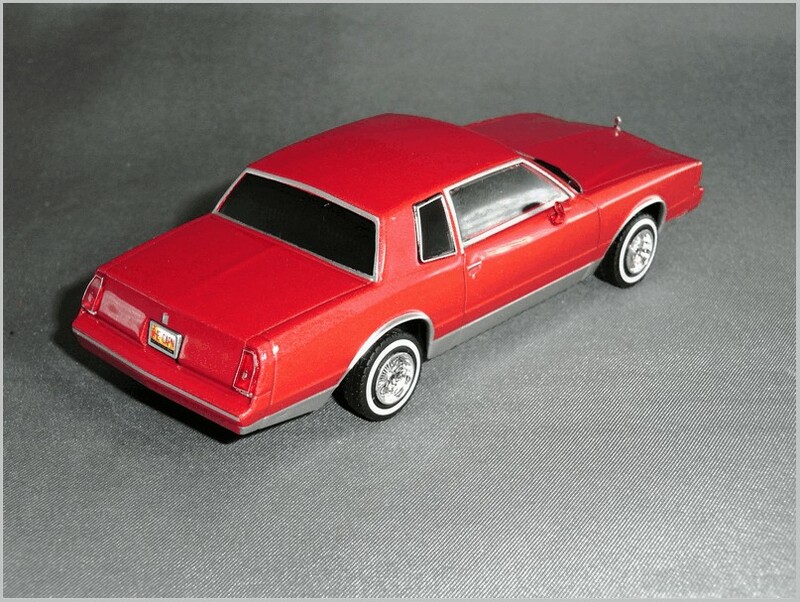 In some cases Greenlight then go on to release a standard car using the same casting as they have with the Lincoln Continental amongst others. but haven’t done so with this one yet. 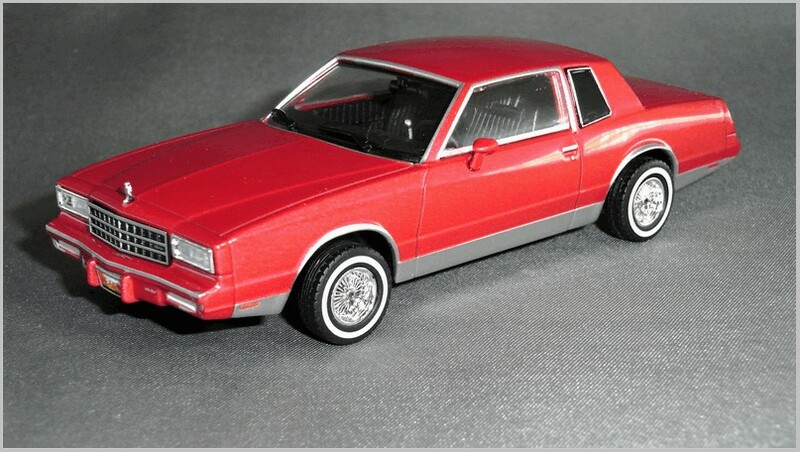 The 1982 Chevrolet Monte Carlo was the second year of the fourth generation of this car which is a two door coupe based on the same chassis as the Buick Regal, Pontiac Grand Prix and the Oldsmobile Cutlass Supreme. In 1982 the Monte Carlo was not at its best, the turbo had been withdrawn and two diesels introduced. Interior options no longer included a bucket seat sports pack. The car was losing its previous muscle car image. 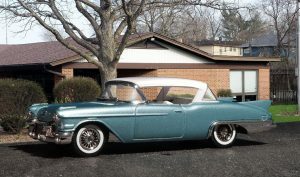 Later the car became popular with customisers as it was cheap and mechanically simple with a front engine and rear wheel drive unlike the GM cars that followed it which introduced the FWD engine/drive units in the Monte Carlo and its ‘siblings’. 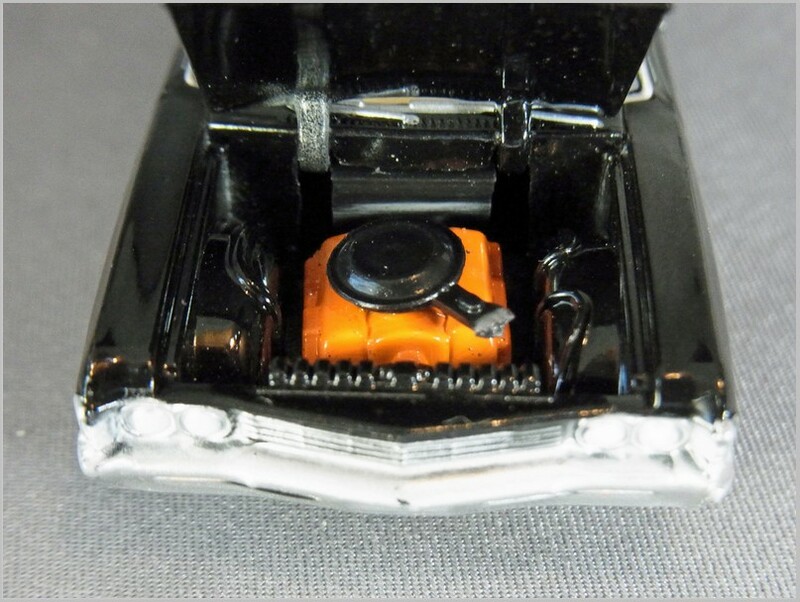 In Breaking Bad the car is customised as a low rider but the model doesn’t really reflect this although the wheels are spaced out further than standard. 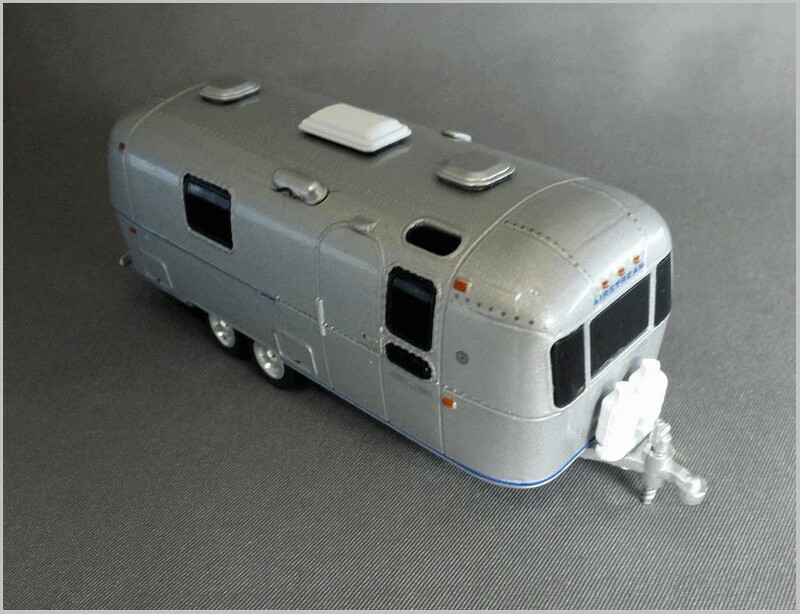 The Greenlight model is about the same standard as the models made by Universal Hobbies for the James Bond Partwork. Interestingly the Greenlight details on the base are all printed on but ‘1/43 made in china’ is moulded in. This suggests to me that the car will be available to other brands as a standard model later. 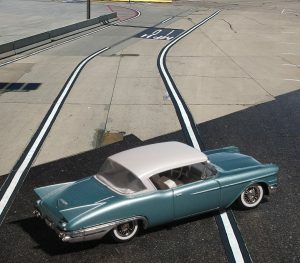 The wide track is achieved by fitting spacers in between the wheel and the base which again suggests that the car will be made later with a standard track width. 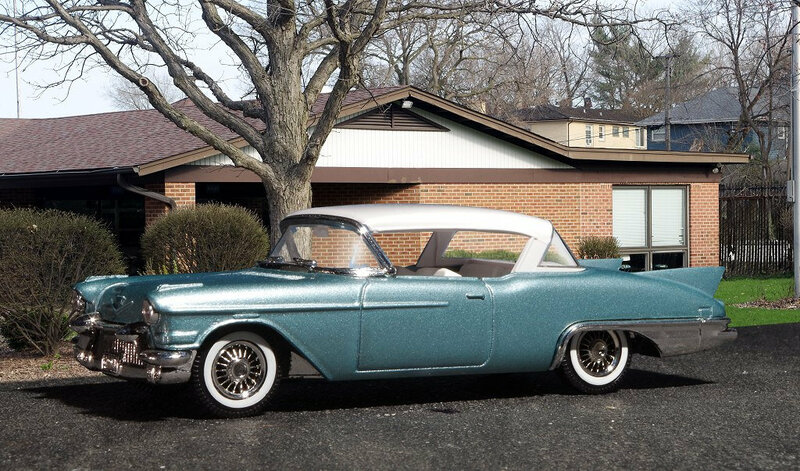 The wheels are a reasonable match to the car in the TV series but the whitewall is an entirely different place from that on the TV car. Whilst many of the details are good. The grille is nice, as are headlights and the emblem on the bonnet. However the inserted rear window has a slightly crude surround and the plating is inconsistent and does not colour match the printed chrome round the front door and screen. The rear lights are nicely made inserted parts with the chrome rims and the motif on the lights well done. The wipers are fine plastic items which look much more convincing than thin one dimensional PE items fitted to many resin models. The quality of the paint finish is excellent and the number plates are as used in the programme. The door mounted mirrors are nicely made and even have reflective ‘glass’ fitted. Looking inside the car there is a lot of moulded details but apart from the steering mounted gear lever in silver it is all in black. Interestingly the back window and rear side windows are privacy glass but pictures of the TV car show them as clear glass. 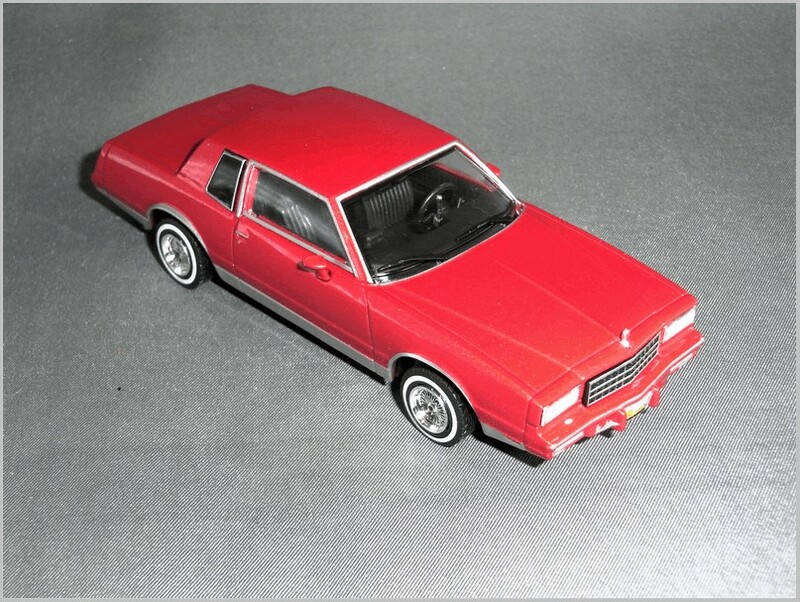 Models of American cars of the 1980’s are not that common so even though GM sold only just over 90,000 of the 1982 Monte Carlo it is a welcome addition to the shelf. Text and photographs by, and copyright of, the Author unless otherwise attributed. To continue to grow firms producing diecast models need to extend their market to a wider group than existing collectors. 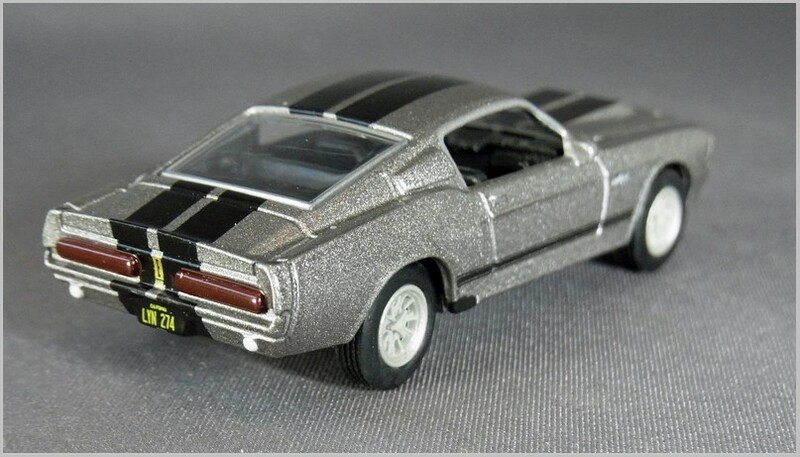 To do this they not only need to create models that appeal to a wider audience they also need reach that audience who doesn’t read the diecast press or visit toyfairs. 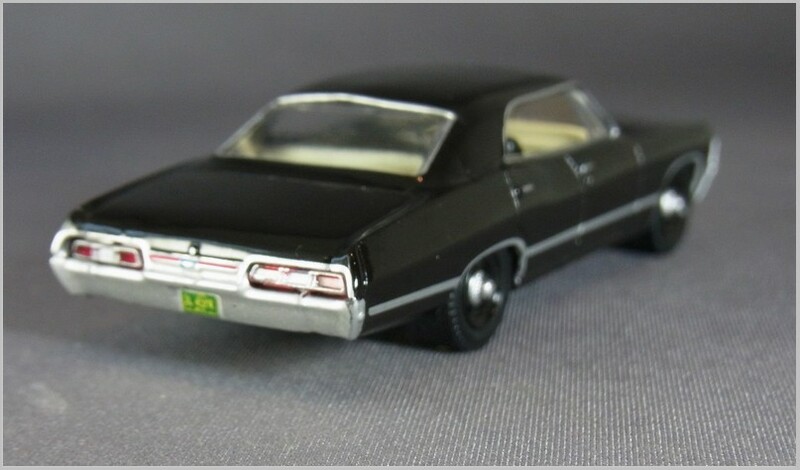 Greenlight has been working hard to produce models appealing to custom car, TV and Film fans as well as general model collectors. In addition specials have been made for Walmart and Hobbystores to access the general market. The latest tie-in deal that I have come across is with Lootcrate. Lootcrate is a US based venture which allows people to subscribe a monthly amount and to receive a box of “goodies” on the theme of their choice. It styles itself as “fan commerce” and you can subscribe to various popular culture and gaming themes. 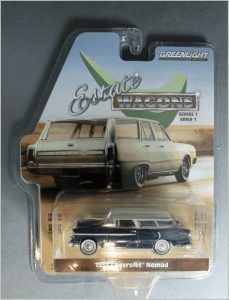 This posting shows two Greenlight 1:64 models which have been produced to tie into the Movie theme with a simple card window box with movie theme printing and a large Lootcrate exclusive panel and smaller Greenlight Hollywood logos. These models are very similar to models which have already been released in Greenlight’s own Hollywood series. 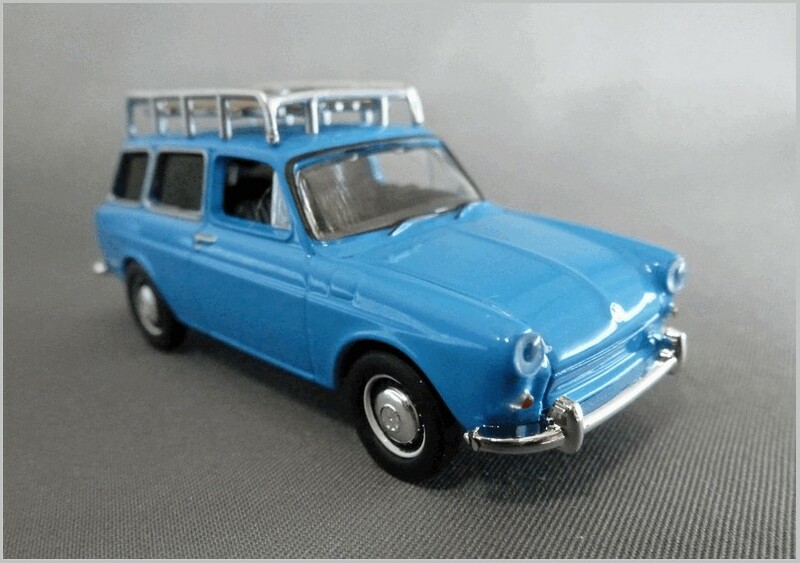 A neat casting with rather nice wheels even they are somewhat simpler than pictures of the film car but they do have lovely rubber tyres of a reasonable width fitted. All the extra lights are moulded into the front with some picked out in white. The rear lights are very well captured. Badging is tampo printed as are the “go faster stripes”. The opening bonnet reveals a simple moulding of a V8 engine. Supernatural is a TV series featuring two brothers who hunt demons, ghosts, monsters, and other supernatural beings. The 1967 Chevy is their means of transport. 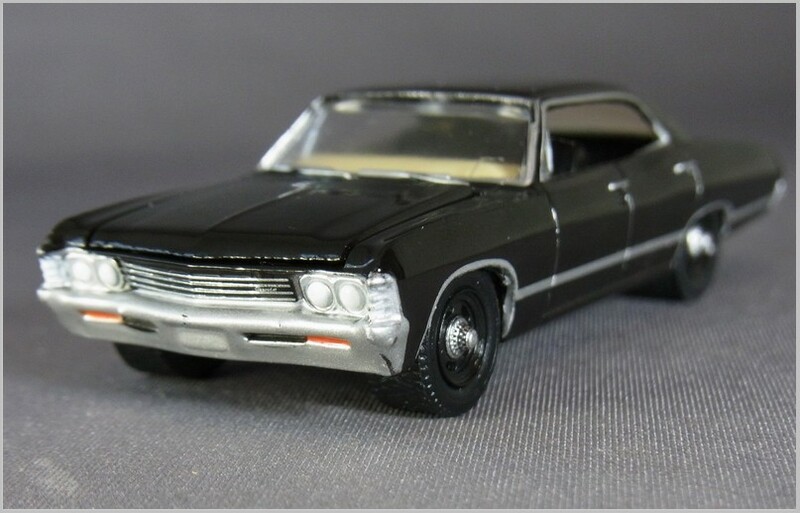 Again a good basic 1:64 casting of a 1967 Chevrolet with all lights printed with colour highlights and trim printed in silver. The interior is basic but the dashboard and door cards are in tan whilst the seating is in black. 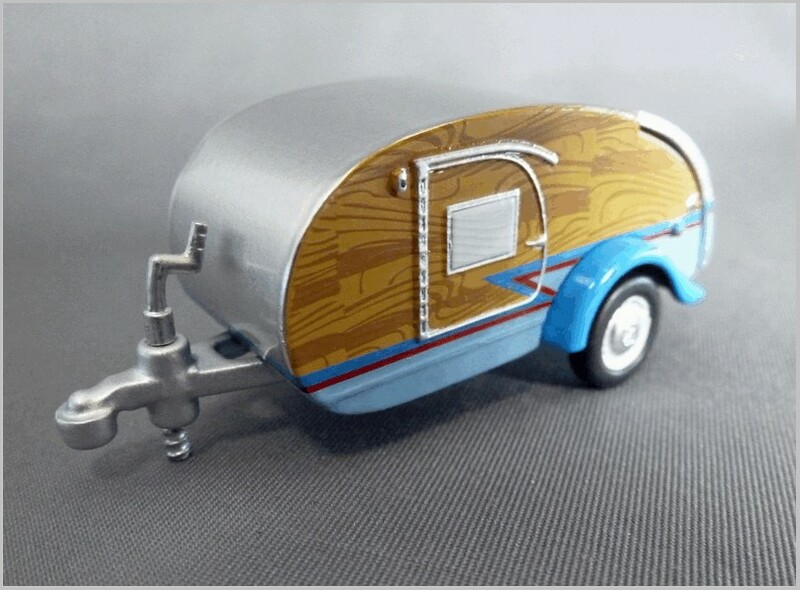 The only criticism I have is off the wheels where we have Johnny Lightning style hugely over wide tyres fitted which is a bit of a letdown for a good model. 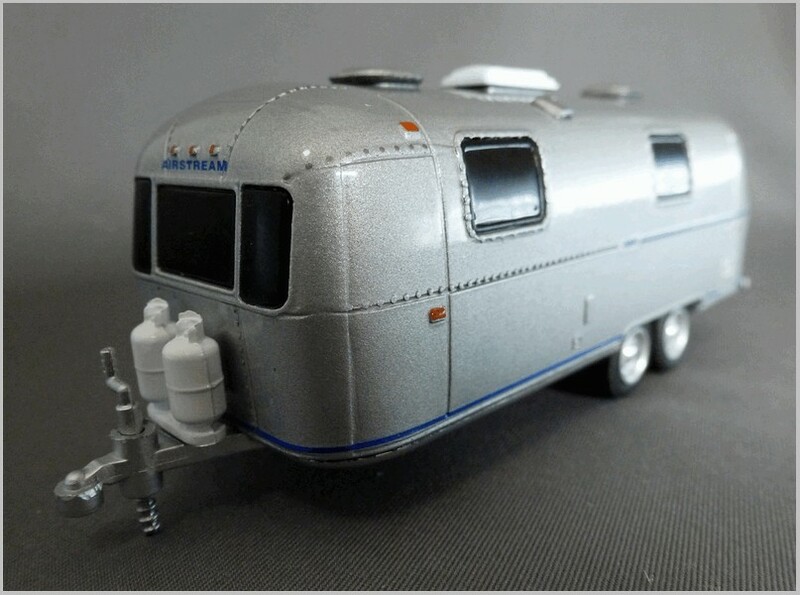 I hope that some of the Lootcrate subscribers decide to buy other Greenlight Hollywood models for their collections and get drawn into the world of model collecting. 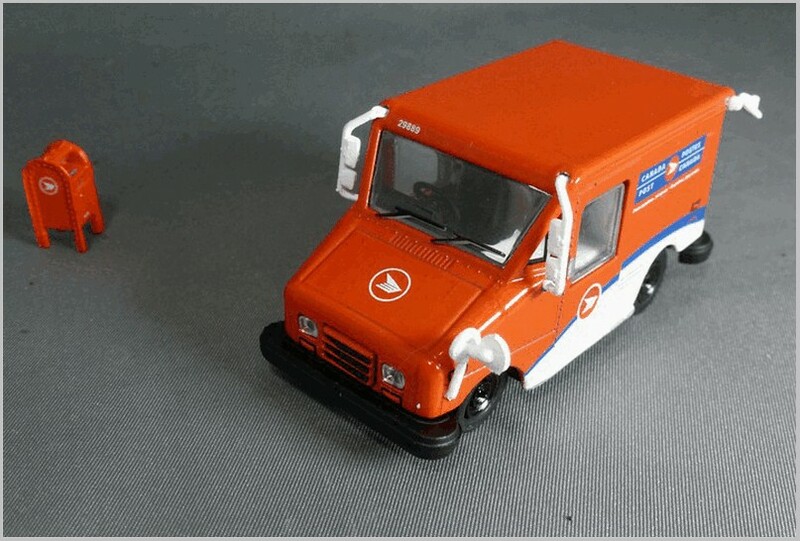 Postal services round the world often use distinctive vehicles built specially, or mainly for them. 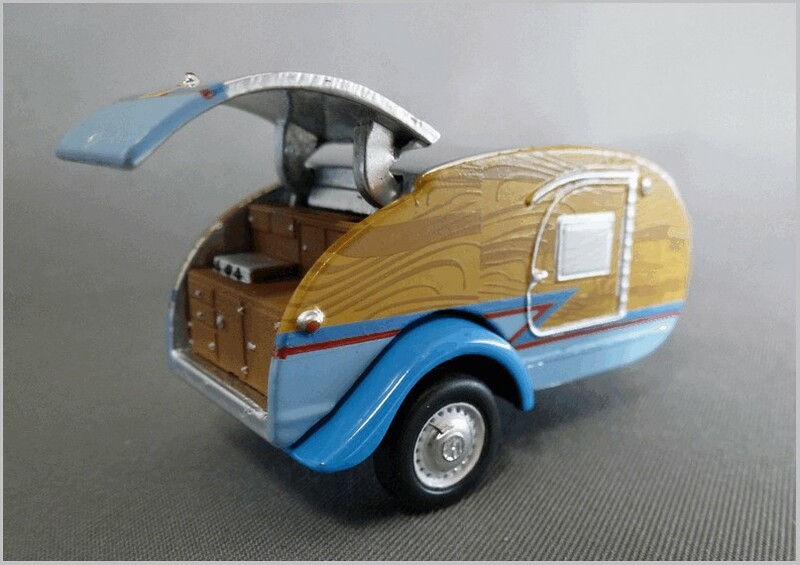 The Volkswagen Fridolin and the Bedford HA van are examples of this. 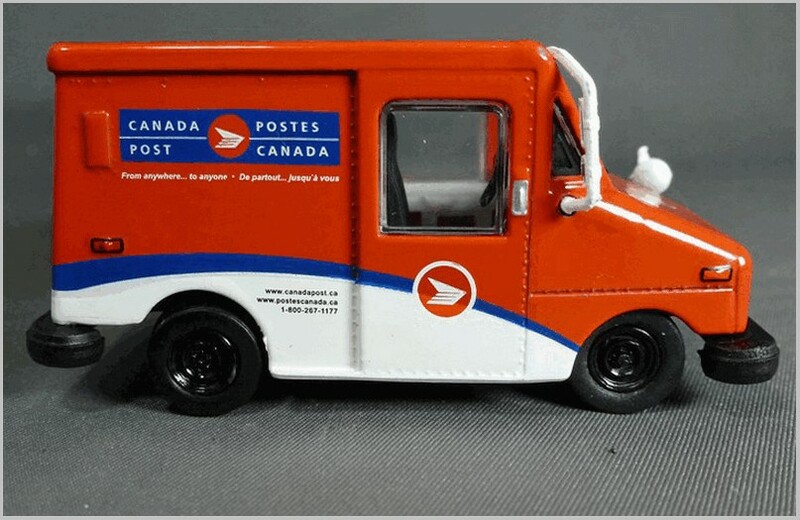 This article looks at a uniquely North American vehicle the Grumman Long Life Vehicle (LLV) produced mainly for the United States Postal Services (USPS) and to a much smaller extent for Canada Post. The Grumman LLV is designed for a long operating life and is based on an 1982 Chevrolet Blazer chassis and has engine and other parts from the GM range. The last van made was in 1994 by which time the USPS had 140,000 of these vehicles in service. 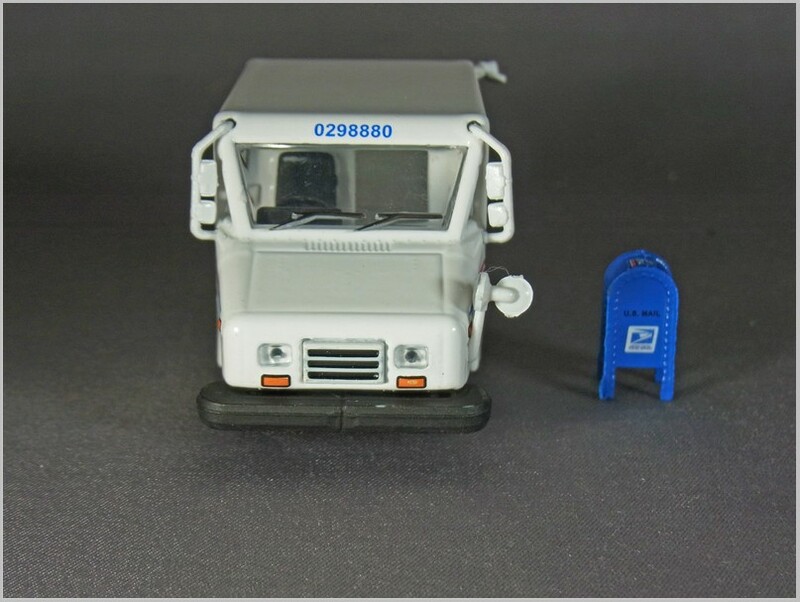 One peculiarity of the design is that like the Jeep DJ-5 it replaced it has right hand drive in order to allow the postal workers to get in and out at the kerb saving time on every drop and pickup. The USPS is about to embark replacing these vehicles and manufacturers have submitted designs in a competition to supply the next generation of vans. 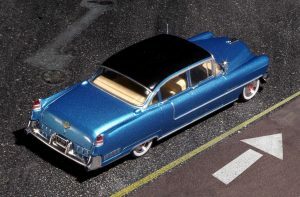 The Greenlight model shown is metal diecast to 1:64 scale in China for the US. 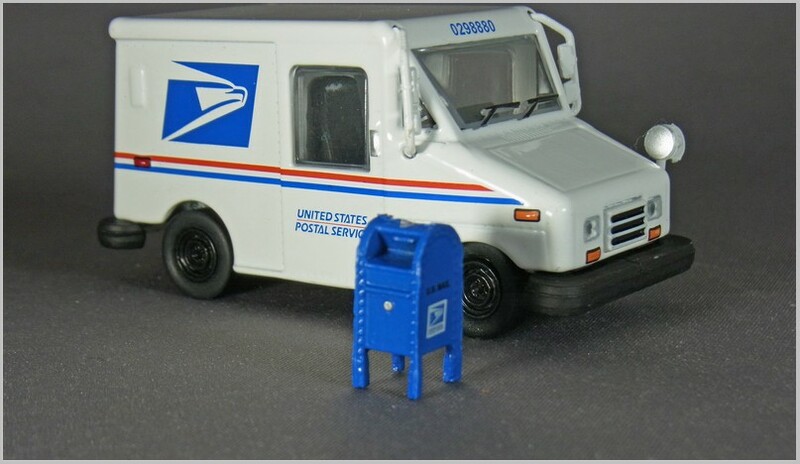 and is supplied in a bubble pack with full USPS livery markings and some facts about US Postal Services on the rear including a claim that USPS processes and delivers nearly half the world’s mail. 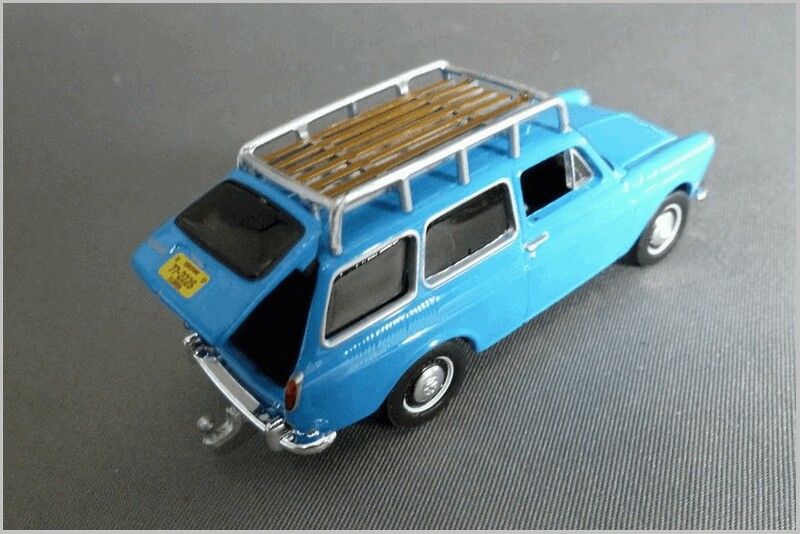 The model is good with the large number of external mirrors all added as small separate parts, windscreen wipers are moulded in much more deeply than usual and then black printed. The front lights are inserted plastic lenses and the grille a plastic moulded insert that looks a bit crude but looking at the real vehicle the model looks much smoother because there has been no attempt to replicate the huge number of rivets used to hold the panels and lights in place. One unusual feature is that there are no licence plates as postal vehicles do not need them, they just need a service number which is painted front and rear. 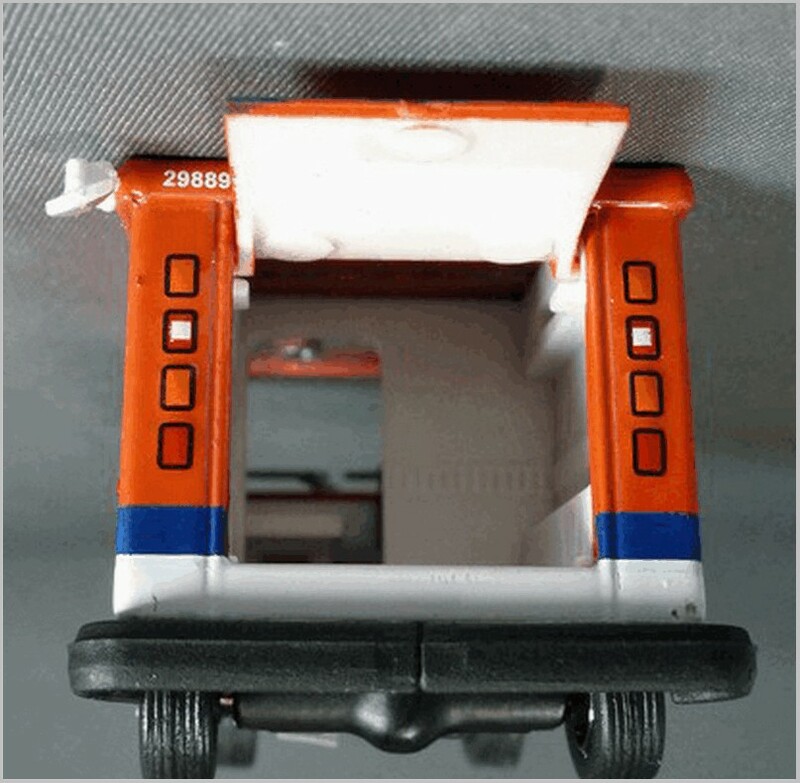 The model has an opening rear door which folds out giving a view of the internal arrangements with quite a lot of effort being made to show key internal walls and an internal work surface next to the drivers seat. Instrument panel, steering wheel and drivers seat are all in black plastic to contrast with all the other white internal fitments. 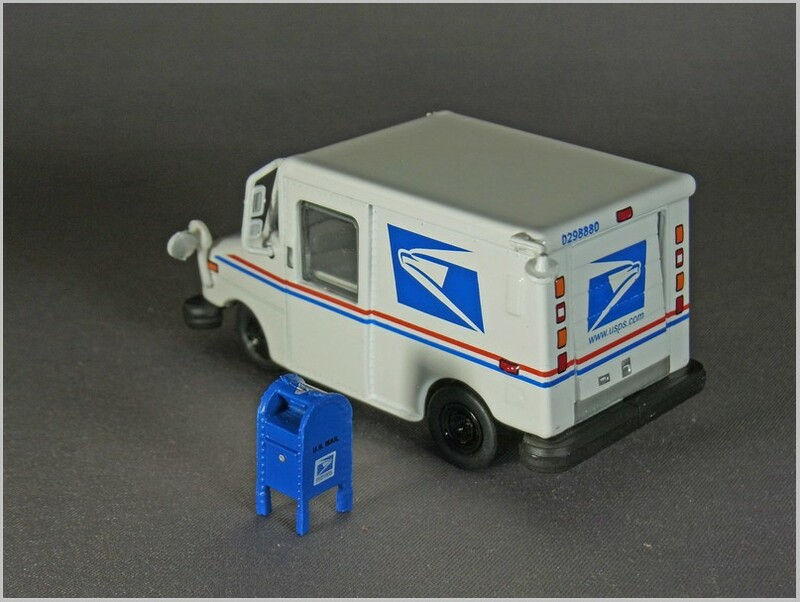 The USPS livery is very well printed and the rear lights, front indicators, and side light fittings are all printed on. 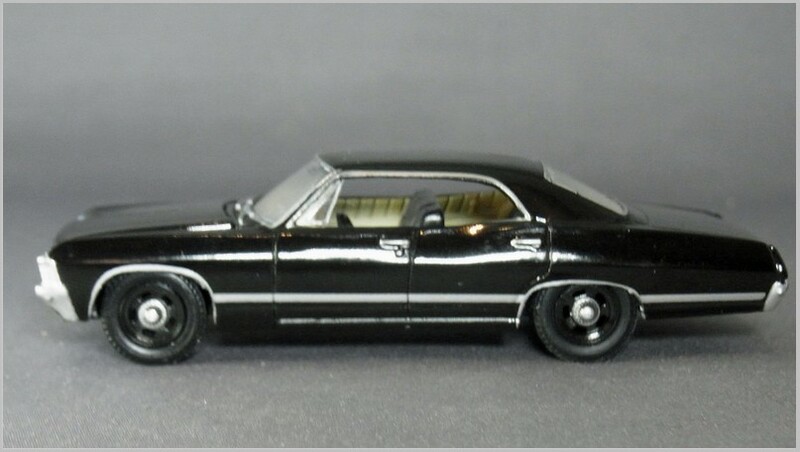 The wheels are suitably utilitarian with the wheels a nice slightly shiny black and tyres a nice matt black. The narrower front track has been correctly modelled and the chassis has some moulded in details showing chassis frame, drive and exhaust. 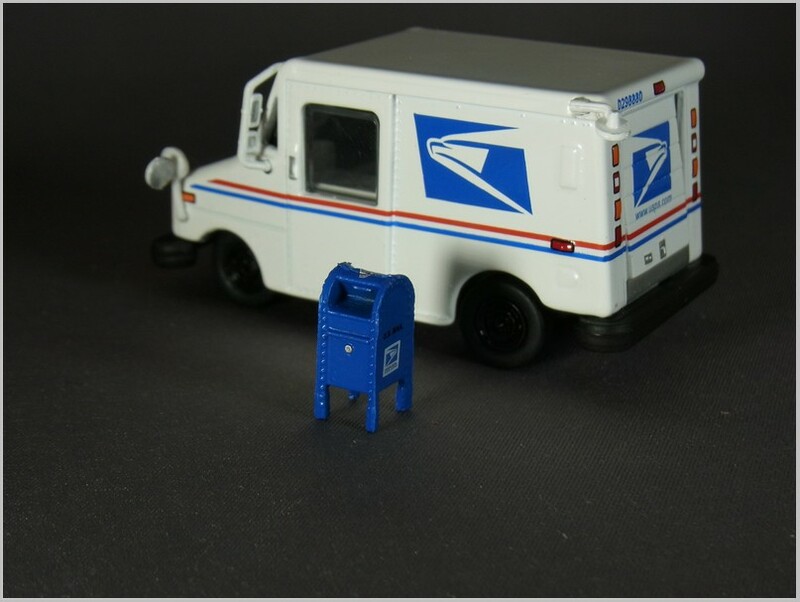 It is a nice touch from Greenlight to have a moulded USPS mailbox included with the model. All in all a rather good budget model of an unique vehicle. This is the 1955 Cadillac Fleetwood Series 60 sedan, as done by Greenlight, in the 1/43 “Elvis” series of vehicles. All snaps are taken in the suburbs of Chicago. It’s really well done and certainly is a bargain at generally less than US$20. This is the blue version, and a pink one is available as well. 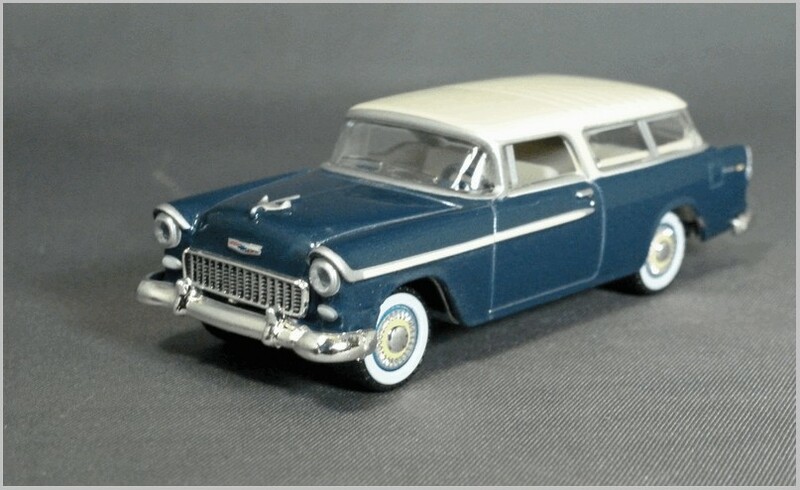 This is a beautiful 1/43 Solido ’57 Cadillac that I got a great deal on at the Countryside show. The snaps of the ’57 start in the suburbs of Chicago again, but after a long road trip, we ended up in San Diego! These were made in both Seville and Biarritz forms. 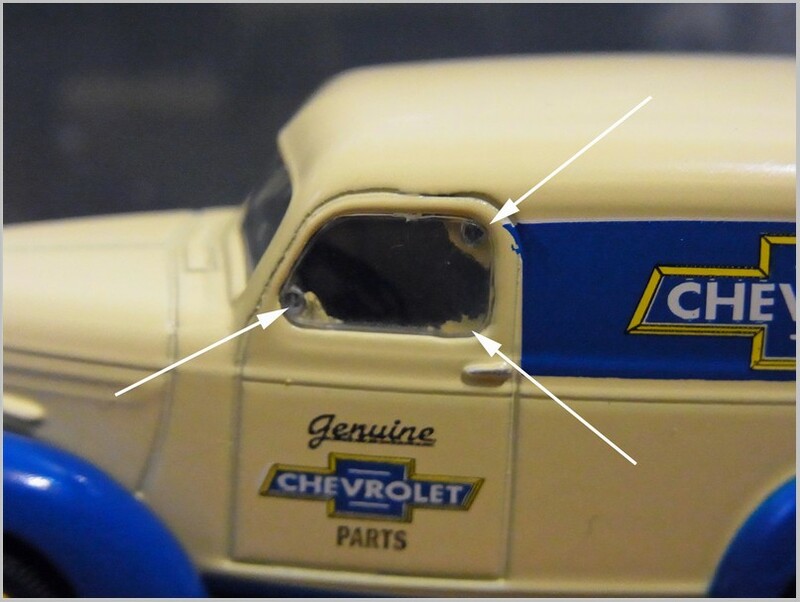 What is your verdict on the way Greenlight has attempted to engineer flush side windows on the 1939 Chevrolet vans? I don’t care for the engineering solution. Flush glazing yes, but not at the cost of overall appearance. Thinner wall castings getting windows closer to where they should be like Matchbox did some 55 years ago is still better in my mind! Editor: I didn’t mention this in the article on these models, to be found here, as I only looked closely at it when Robin drew it to my attention. 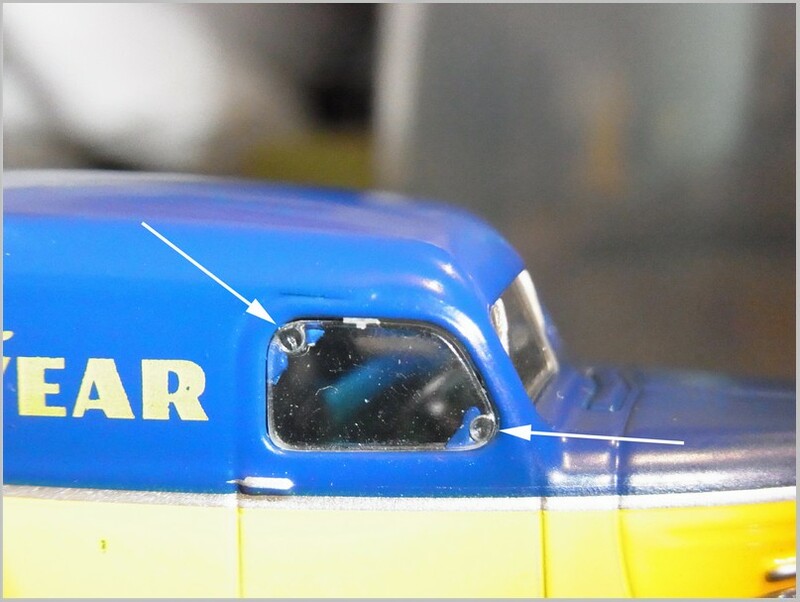 But he is right the fixing is extremely clumsy and when the model is in a light colour it is also very obvious as shown in photographs below where arrows point to new fixings intruding visually. The flush fittings being increasingly used by PCT/Sonic and Oxford with the side glazing being fitted into side from inside with all frames printed on is vastly superior. Or as Robin says if the casting is fine enough then the gap is scarcely noticeable anyway. I hope GL find a better solution for future castings. What do you think? 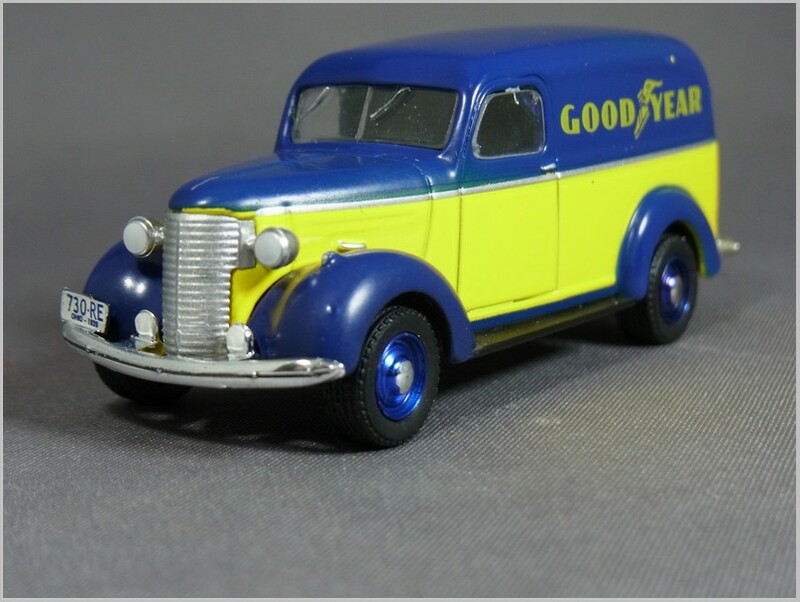 Greenlight have released the Chevrolet Panel van from 1939 in 1:24 and 1:64 scale across a number of their ranges all with attractive liveries. Like Models of Yesteryear there is no discernible differences between them other than their liveries. In 1:24 there are some opening parts but there are none in 1:64 scale which improves accuracy even if it reduces play value. 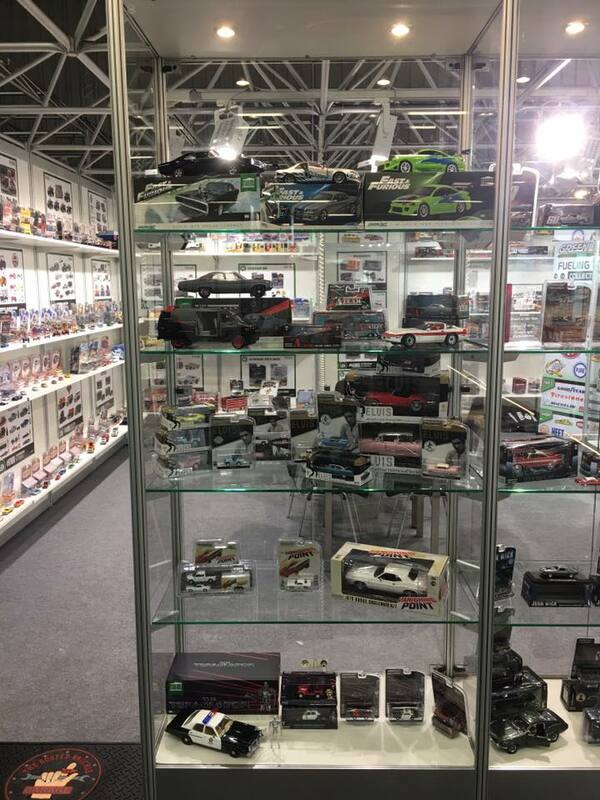 The models are diecast in China for the USA. 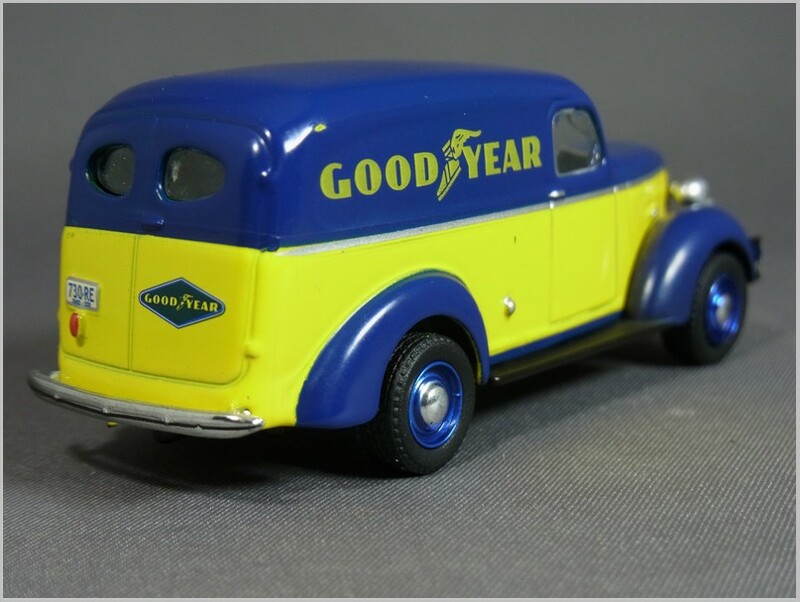 In 1:64 scale there are liveries for Goodyear Tyres and Shell Petrol in series four of “Running on Empty“. 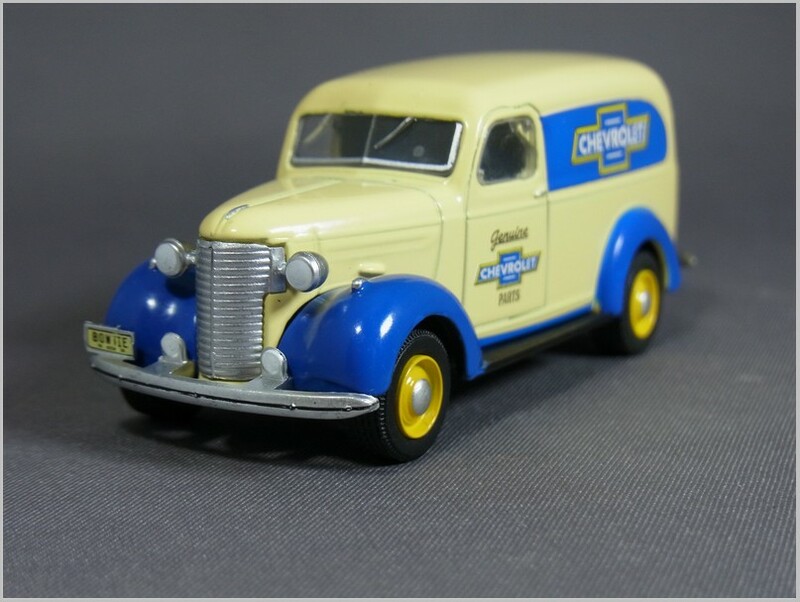 In the “Blue Collar Collection” series three they sell Chevrolet Parts and Krispy Kreme liveried vehicles, there is a picture on the web of a Krispy Kreme van looking very like a 1939 Chevy but in a different livery to the one used by Greenlight. 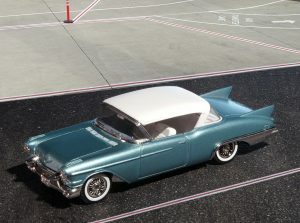 Like all Greenlight 1:64 scale models these are more expensive than Mattel Hot Wheels but cheaper than Auto World or M2. 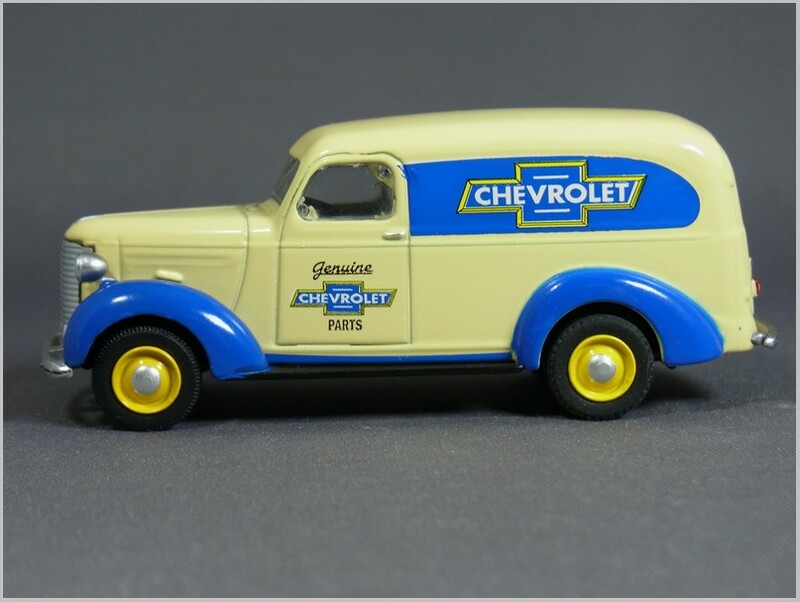 The 1939 Chevrolet Panel Van was a functional vehicle with a car like look and was replaced in 1941 by a van with a waterfall front end only seen on vans. 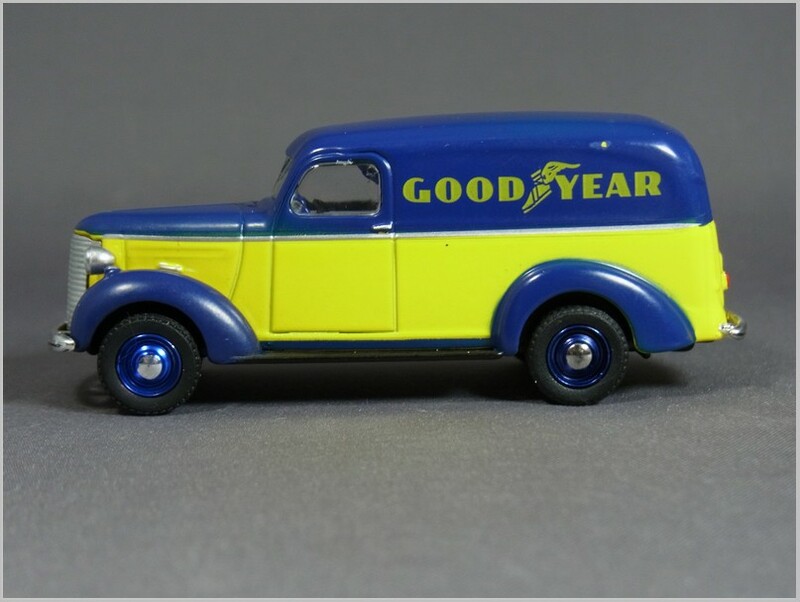 This van, new for 1939, was sold under the strap lines “The Nation’s Largest Builder of Trucks” and “Quality Makes Volume – Volume Makes Price”. 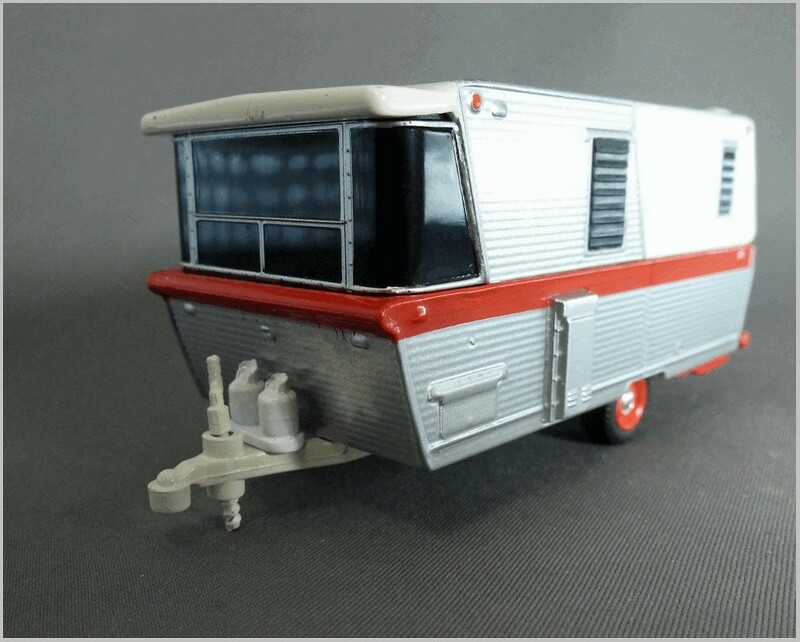 The van has a good shape and captures most of the features of the original quite well though the way the lights are inset in silver blocks to the side of the radiator is an inelegant solution. The Tampo printing of the areas of blue is not as thick as it might be and there are small gaps in the paint here and there betraying the fact that these are made to a strict budget. On the plus side the livery is nicely printed and seems to match printed material of the time. The light lenses being picked out in white is a nice touch and the grille is good enough though some black wash would be nice. Number plates are printed. The windshield is a bit of a let down. All the glazing is flush but the printed chrome surround at the base of the window is much too high and large. The wheels and tyres are well modelled though the tyres seem slightly too wide and square shouldered for the period. To the rear the curved panels are very evident and the rear light, number plate and livery is all well done. The rear door handle is picked out, though the photograph doesn’t show it. Sadly the paint splits at all the panel lines on the vehicle, again showing that these are painted quickly and with minimal materials in the factory to meet the selling price. Great colours reflect the corporate colours of the period. Sadly the blue overspray does not wrap round wheel arches underneath and there are a few dots of yellow where the blue paint has not covered the yellow. The blue wheels are neatly painted and show off the contrast with the hub cap well though they are a bit shiny for a working van. From the front all my comments about the Chevrolet liveried van apply but here the front bumper, which is straight and level on the parts model shown above, is bent like a banana which shows that QC is not very strict. The front windscreen differs as well. Here there is no chrome print at the base and the window looks all the better for it. Sometimes less is best. Finally to the rear the finish is as good as the Parts van and the yellow has split less round panel lines too. One other difference between the vans is the silver coach line which is nicely printed along the side of the Goodyear liveried van. I am sure that we will see many more of these vans in different liveries. Some like the Texaco one that I am sure will come, they already do it in 1:24, I will welcome. Whilst others will inevitably be printed in pretty but inaccurate liveries which I will not .